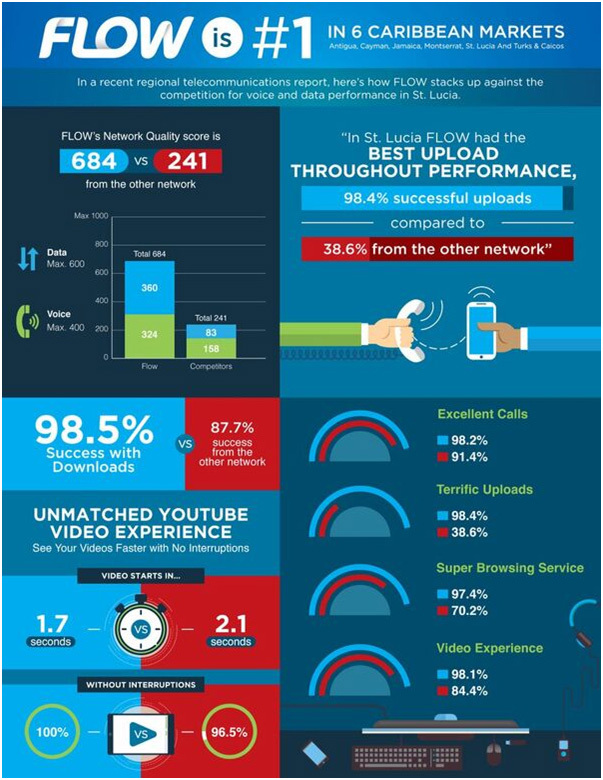 MIAMI, FL, May 23, 2017 – The Results are in and the good news for Flow customers is confirmation that they are enjoying the best quality network and service levels in the region as measured against the competitor in at least six markets tested so far, by independent benchmark testing agency, P3. 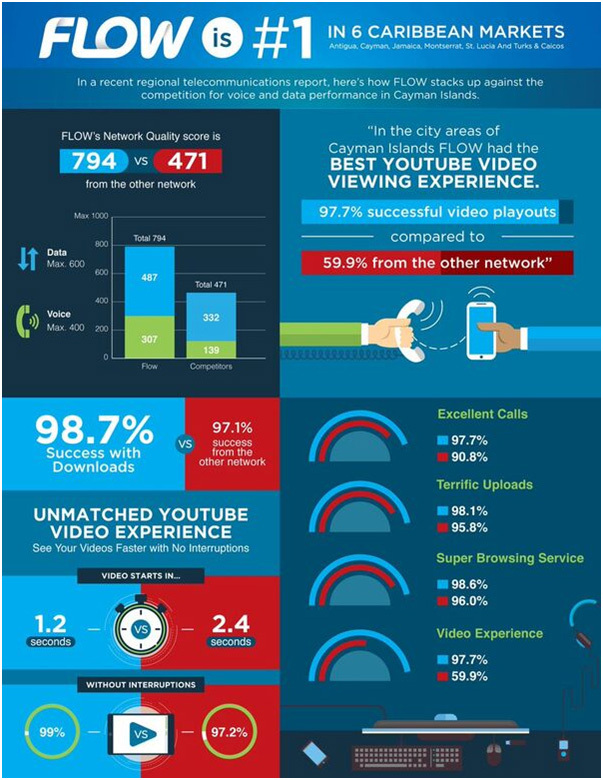 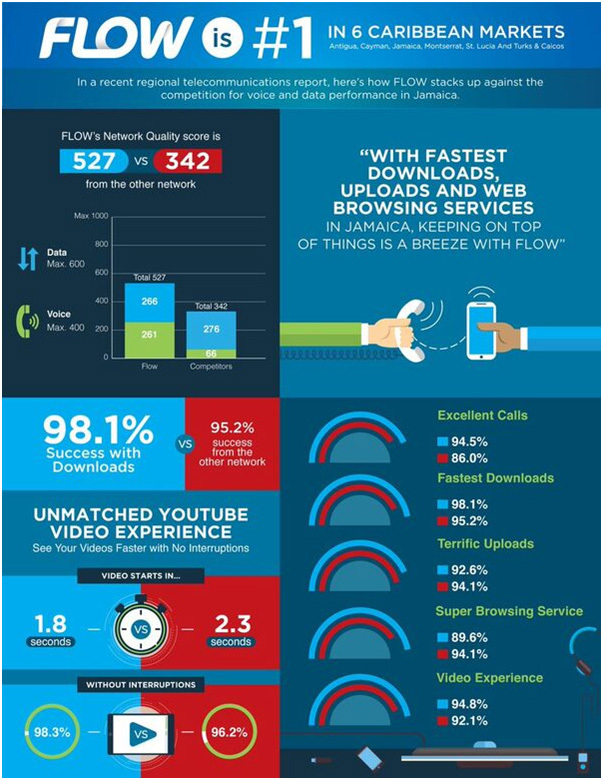 Flow customers in Antigua, Cayman, Jamaica, Montserrat, St. Lucia and Turks and Caicos experience fastest downloads, “Best call set up time,” unmatched video experience, significantly better upload speeds and quality, plus superior browsing more than 90% of the time when compared to the other network. 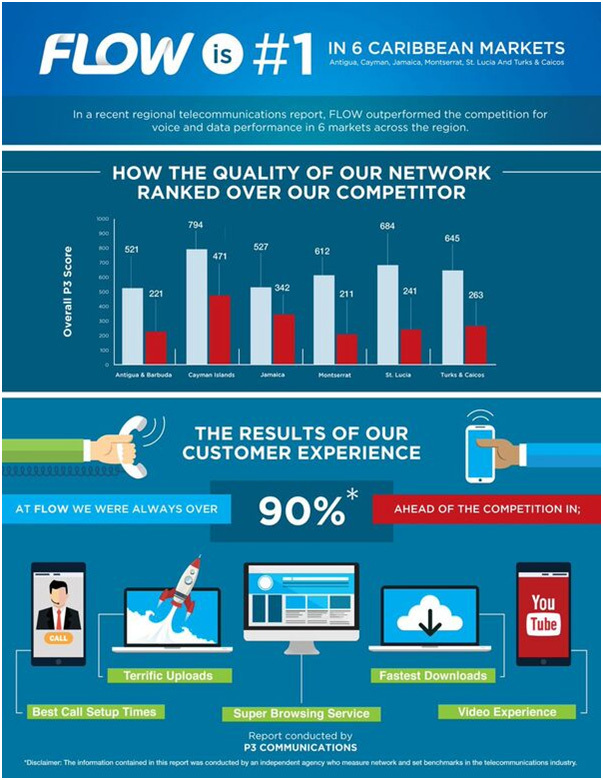 “This is fantastic, we are delighted to have received such a resounding endorsement that Flow is indeed the #1 network in the Caribbean, and the best part about it is, we didn’t say it – the experts did. What an endorsement!” said Garry Sinclair, Caribbean President at C&W Communications, operators of Flow.